TODAY IS VERY SPECIAL TO US AND ESPECIALLY TO OUR CUSTOMERS! 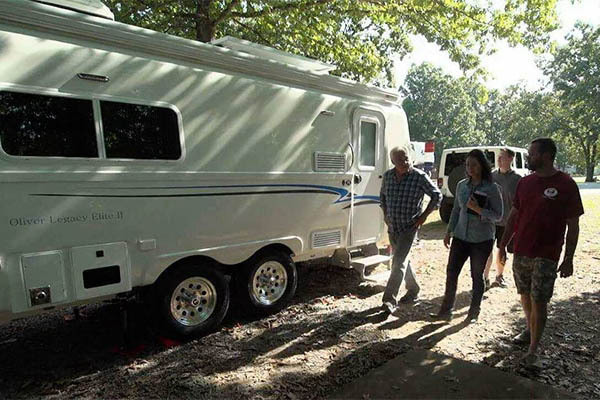 The day you take delivery of your new travel trailer at the Oliver plant in Hohenwald, Tennessee is always a day filled with excitement and anticipation. We feel the same way and look forward to helping you get familiar and comfortable with your very own custom built Oliver. We start out with a customer education class that teaches you how to use everything inside and out. We follow a checklist to ensure all standard items as well as options you asked for are correct and in working order. Once satisfied we will finish your paperwork. But that’s not the end of our delivery process. We will help you get hooked up and educate you on the use of safety equipment including, safety cables, breakaway system, and weight distribution/sway control. 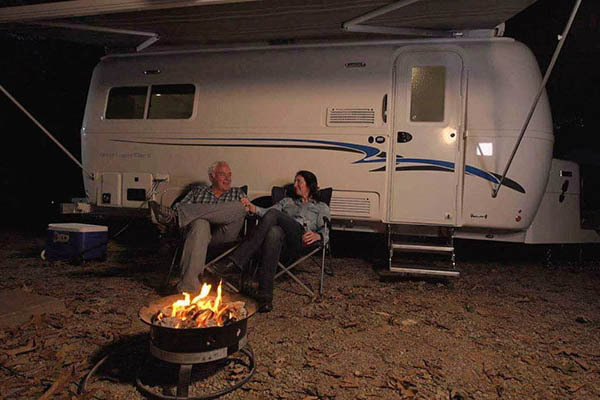 We encourage our customers to stay a night at one of two local campgrounds and your first night of camping is on us. If you prefer to stay even closer you may hook-up in front of or behind our sales office. That way if any questions arise we are not far from you if you need us. If you are looking for more information on our travel trailer buying guide you may follow the button below to our "Buyer's Guide".